The “Wolverine” star meets his wife Deborra-Lee Furness in the James New York NoMad hotel. They are going to have “America’s Next Top Model” photographer Nigel Barker and his model wife, Cristen. A source reveals that the champagne is flowing and Hugh also looks very dapper in the occasion. 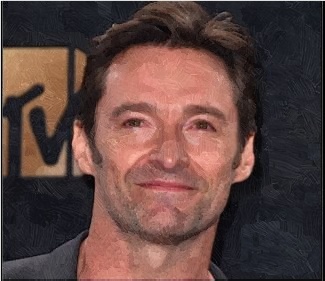 Meanwhile, Hugh previously revealed that he wanted to keep his promise to his friend, Dukale when he started “Laughing Man.” He did not think that he would be premiering their new commercial recently or that Laughing Man is now available in recyclable pods sold all around the U.S. and online. He continued that every person has the power to make a difference by supporting products like this, which gives back. The products are also Fair Trade Certified and have a mission to make the world a better place. He thanks his followers for taking the time to read his message. Did Justin Theroux Date A Younger Woman After Splitting From Jennifer Aniston? Is Prince Harry Going To Sign A Prenuptial Agreement?